Go to Edit HTML and search forÂ http://4.bp.blogspot.com/_Va0H6DMcb9c/SoF0Dm9migI/AAAAAAAACeE/v-YxwJ4GzGQ/s320/bemplate-logo.gif replace it with the URL of your own logo. How to put 468×60 advertisement banner in the header ? Go to Edit HTML and search for http://1.bp.blogspot.com/_t47uhxwKFVM/SlcMyGbzBxI/AAAAAAAAAx4/8Kx2Afcyg10/s1600/468×60.gif replace it with the URL of your own advertisement banner or you can simply paste the adsense code in the space of this link. How to add Recent posts ? How to add Recent comments ? 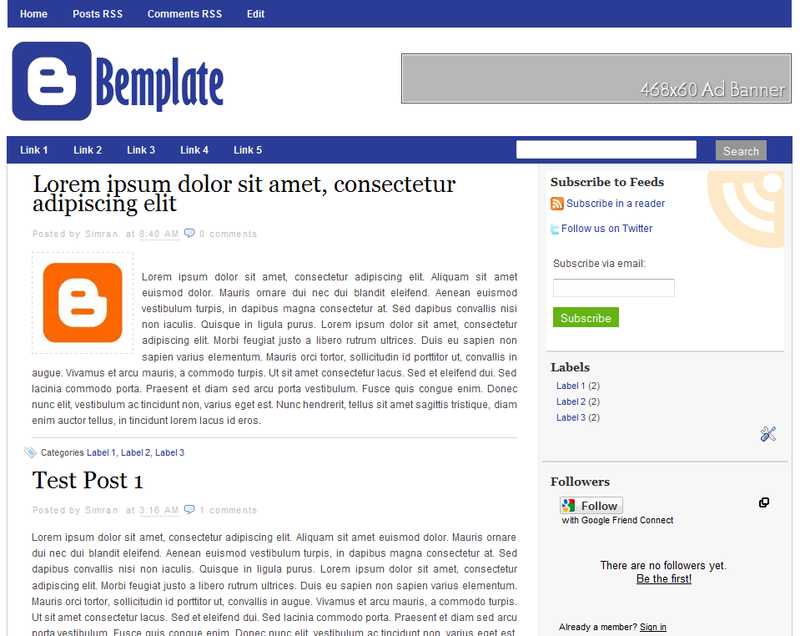 Next Article See How A Website Looks Like In IE6 ! .-= ricky´s last blog ..Friendship Award Has Got Bigger And Better =-. .-= Swagat´s last blog ..bidvertise =-. .-= Sunil Jain´s last blog ..Free Raksha Bandhan Orkut Scraps and Messages =-. Of all the templates you have released so far this is perhaps the best. Certainly deserves appreciation. .-= Honcho´s last blog ..Template Honcho =-. Could u please guide as to what part of the code is to be modified to change the “font-size” of the links and everything in the sidebar. .-= Shafar´s last blog ..Become a Google Adsense Fan in FaceBook! =-. Excellent template dude.. I really like the name Bemplate ! .-= S.Pradeep Kumar´s last blog ..HellBound Bloggers Completed 100 Articles Successfully =-. .-= Tech Buzz´s last blog ..Google, Bing, Yahoo! – which is the best? =-. 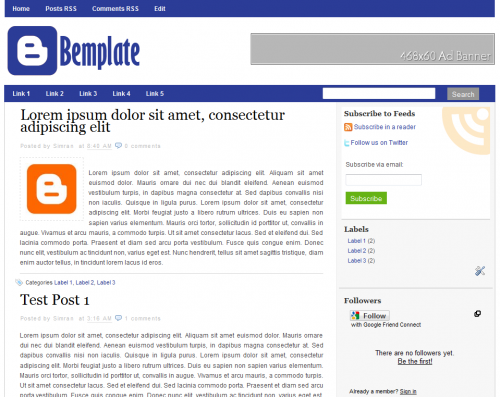 Could u please guide to me how to modify this template (Btemplate) to be 3 column? Thanks ..
.-= Siham´s last blog ..Widget Google Translate =-. Yes, It looks very simple, clean and clear template. The name of template is very cute. Pingback: See How A Website Looks Like In IE6 !